While several European countries are investigating whether or not lootboxes are gambling, new possibilities around esports gambling are opening up in America. The United States Supreme Court has struck down a 1992 federal law banning states from making their own laws on sports betting. The change in law is primarily focused on traditional sports gambling, but is also likely to have an impact on betting in and around the esports industry, as well as helping reduce the spread of illegal esports betting sites. Here’s a list of the best PC games. The federal law prevented individual states (with the exception of Arizona) from making their own laws about gambling on sports matches. While the removal of the law means that individual states will still have to pass laws actively legalising sports betting, states like New Jersey are likely to do relatively quickly. 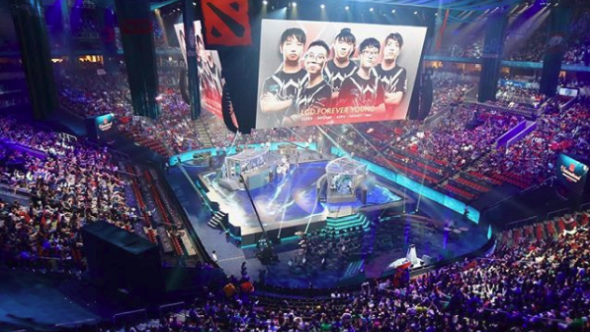 More regulation around esports betting could help decrease underage gambling as well as online “skin-betting” – illegal lobbies in which players wager in-game items against the results of esports matches. Overall, ESPN reports that those lobbies attracted around $5 billion in wagers in 2016. In a conference call earlier this week Take-Two Interactive CEO Strauss Zelnick expressed his support of the change in law. In the call, Zelnick said “we certainly think it’s a good decision, we think there may indeed be […] meaningfully positive influence on our business.” That doesn’t mean Take-Two are looking to immediately capitalise on the new laws, but Zelnick says the company are “observing that there are potential opportunities in the future.” Take-Two currently produce games attached to the National Basketball Association, the National Hockey League, and WWE, which could set them up to benefit significantly from the legalisation of sports and esports betting.